Lightweight and easy to handle for service and repair. Over molded handle and contoured grip provide optimal control. Screw-in brush covers reduce service time. Durable die cast gear housing and fiberglass reinforced plastic body to withstand demanding jobsite conditions. Dual "V" Jaw Support Arm firmly prevents slipping. RIDGID 700-C 115V 1/2"-2" C/W 775 Support Arm. 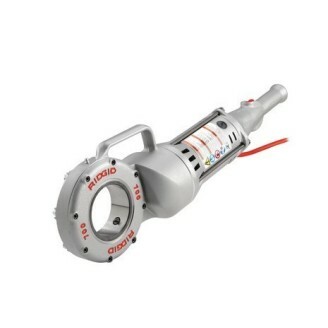 Features Heavy-duty Hand-held Power Drive. Designed for RIDGID® Model 12-R die heads. 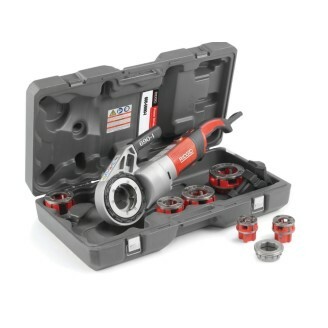 Other RIDGID die heads (00-R, 00-RB, 11-R) can be used using adaptors. 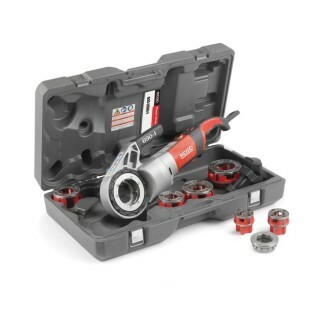 It can also be used with 258/258XL Pipe Cutters.